In this recipe we turn a simple lactic cheese into something wonderful with the addition of some truffle oil. For the past few months, I have been focusing on a lot of history and cheese, and bouncing around on a bit of a world tour. Everyone seems to love this mix of cheese history, but the process of making and aging may be a bit much for the new cheese maker, so this in this recipe we simplify things. 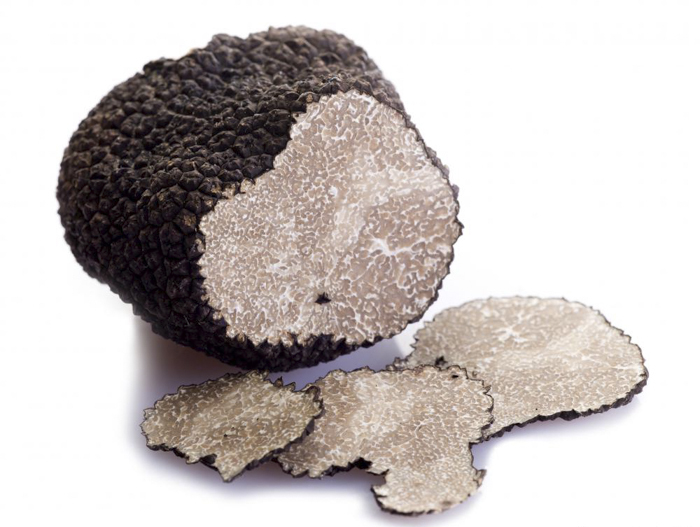 Let's focus on a simpler cheese that's easy to make with a simply amazing infusion of truffle oil. Not only will you be learning to make a fabulous cheese, but we will also be learning a little more detail about the broader field of cheese making and how flexible it can be. 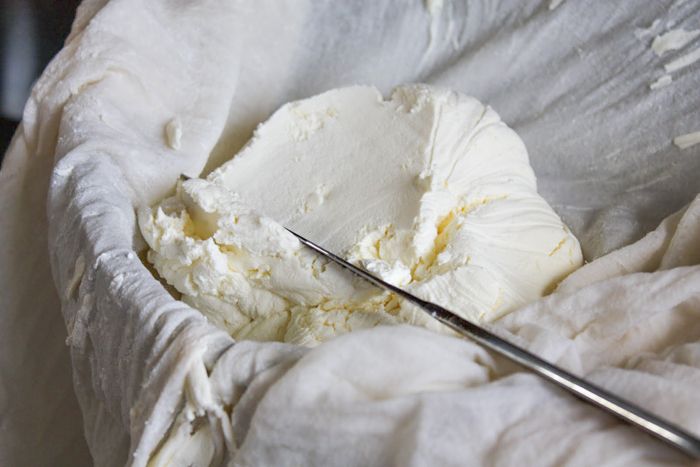 Most of you likely already know that cheese making involves the process of preserving milk by separating the solids from the liquid by converting milk sugars (lactose) to lactic acid AND getting the proteins to form into a mass of curds that we can cut and drain. Now, having differentiated these two processes, I have defined the extreme range of the possibilities of cheese process. At one end you may have a lactic cheese like Chevre, ready for the table in 48 hours. At the other end, you may have an enzymatic cheese, like Parmigiano or Cheddar, that may require 8-14 months or more before it's on the table. In between these two extremes is an amazing array of cheeses, all with different qualities because of major or minor changes in the process. This is why we can literally make hundreds of different cheeses from the same milk. I feel that it is a very important to understand that in cheese making there is no black and white, indeed there are a thousand shades of grey, each one representing a different cheese. So to be clear, you could take a lactic cheese guideline for something like Chèvre or Fromage Blanc, and add no rennet at all, or maybe 2 drops of rennet per gallon; then in the next batch increase to 4 drops and then keep increasing rennet each batch. Eventually you will begin noticing a change in the curds as well as the final cheese. We can call this in between process semi-lactic, as the curd development changes. Eventually, we will reach a very different point of curd behavior and find a need to set the curd at a higher temperature, maybe cook longer and find that it no longer drains well on its own and needs cooking and stirring as well as a press and weight for consolidation. At this point it would be considered an enzymatic or rennet set process. This is just one part of cheese making that makes it such a dynamic process and part of why there is such an incredible range of cheese being made today. Therefore with the same milk, the same rennet and the same culture, you can make a Lactic, Semi-Lactic, or Rennet Set (Enzymatic) cheese by varying amounts of culture, rennet, temperature and time. Obviously because I make it at 10 o'clock, that's 10 AM. Why 10 O'clock? I choose this because this style of cheese takes about 24 hours from the time you add the culture until it's time to drain the curds. Now perhaps you have already noticed it, but milk made into cheese is not always as predictable as we would like to see it, and sometimes the cheese spirit says "OK, I'm ready!" earlier or later than you would like. Maybe an hour or two earlier or later. At any rate this 10:00 a.m. start time gives you a buffer so you can get the good nights sleep you need and if it goes longer it doesn't wreck your entire day. For this cheese, the target will be a creamier cheese made with good quality whole cows milk from the store, plus a little cream. 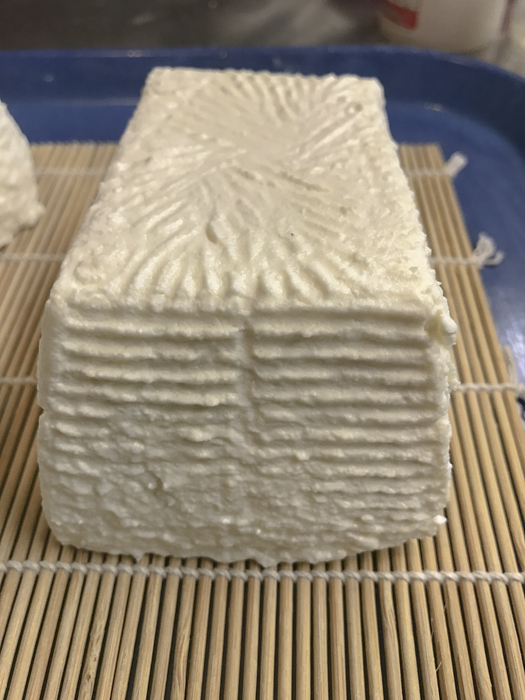 We will also add a bit more rennet to give a bit more firmness to the curd set, and help to slow the cream from rising, if using un-homogenized milk. Even with the extra rennet, this cheese is still going to be a lactic cheese and not a rennet set cheese. 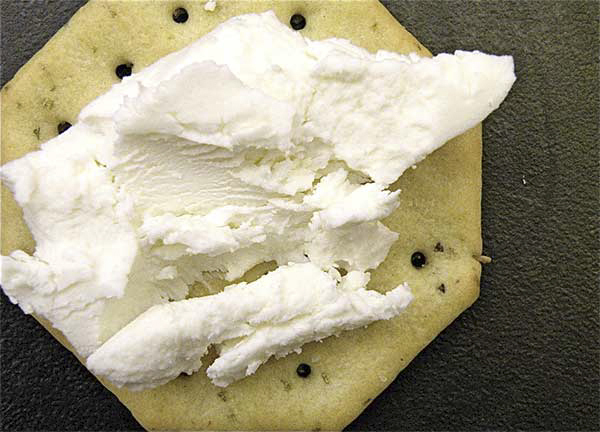 The curd structure is due more to acid production and just a slight boost from the rennet enzymes. The result should be a rich creamy paste, balanced by the tangy lactic character and elevated to *Star Quality* by the truffle oil, just to give it that touch of mystery (the key is to not overdo or underdo the addition). Not just something to spread on bread or crackers but amazing with eggs or in a salad.